"These pen drives, which are mostly manufactured in China, have emerged as a big threat to our cyber security systems," they said. 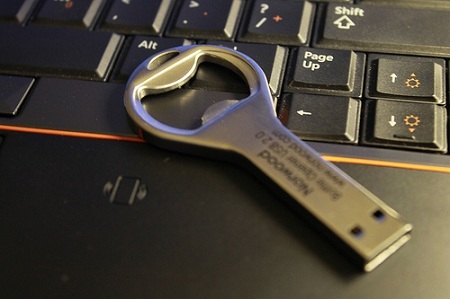 Generally it is found that officials use pen drive to store official data for use at their personal computers but from there, it is transmitted from their IP addresses to hackers from the 'malware' present in the pen drives. About a couple of years ago, a Major posted in Andaman and Nicobar Islands was apprehended as it was found that sensitive data was being transferred from his computer. However, it later emerged that his system had been hacked and spying viruses were transferring information to other computers. Measures have been taken by the other two services also to tighten their cyber security as IAF (Indian Air Force) also recently issued instructions to its personnel warning them against having any official data on their personal computers and pen drives. Anybody found violating these instructions in checks by cyber security personnel will draw strict action which may even amount to disciplinary action including court martial, they said.